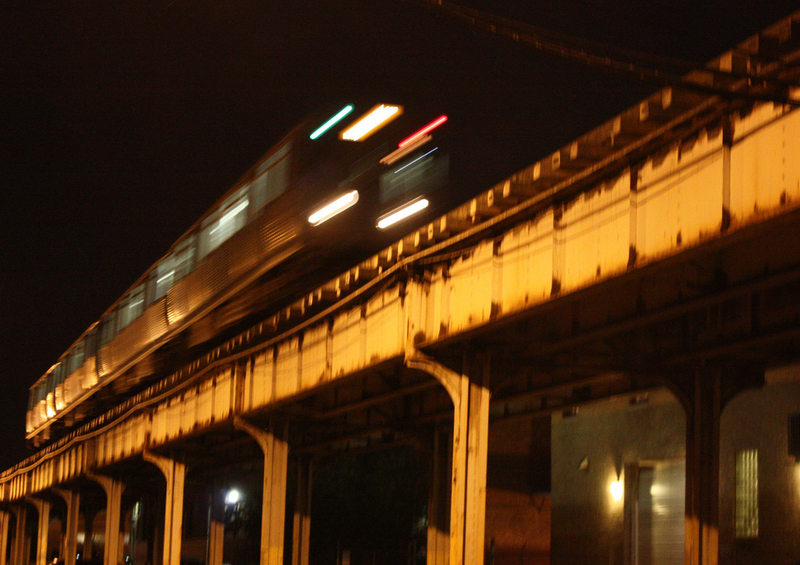 We’ve run a bunch of photos of the Chicago El as part of our “art of transit” series. For one, the El is plenty photogenic. For another, gobs of Chicagoans take photos of the El and they’re all over Flickr, where I find many of the photos we use on The Source. This photo is of the Brown Line. It was taken with a Canon Digital Rebel XSi. Shutter speed was one-sixth of a second — slow enough to capture the train’s movement. The aperture was f/5.0, the focal length was 42 mm, the ISO 1600 and the flash was not used. I wish more readers in L.A. took photos like this and submitted them to The Source. Hint, hint. Just wanted to say thanks for posting my pic. I’m a bit of transportation junkie myself, so I’m enjoying your site quite a bit!